I admit. I don’t handle loss very well. For the longest time, it was any kind of loss. As a kid, losing a favorite toy at the grocery store is still a memory that’s burned into my brain [in fact, I am picturing the exact spot at the Lucky supermarket in 1971, where I last saw my little red truck that I was playing with – odd, huh?]. For years, losing various physical items would reduce me to a fit of obsession, looking for said lost item. Fortunately, I’ve been able to better manage how I deal with losing an inanimate object. For example, in August of 2000, I left my Toshiba Libretto on the UTA Trax train when I worked downtown. While I miss the non-replaceable photos and other data, I dealt with the physical loss very well, moving on quickly. When it comes to humans and pets, I don’t deal well at all. I learn to adjust, but it takes more time to fully realize someone or some creature is gone. I’ve been reassured this is a good thing, because it means I care. But the pain of losing a loved one is never easy. 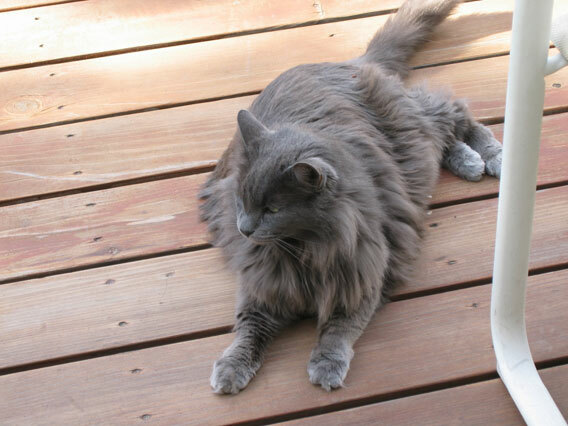 As those of you that follow me on Twitter and Facebook know, my wife and I had to put our oldest cat down yesterday. 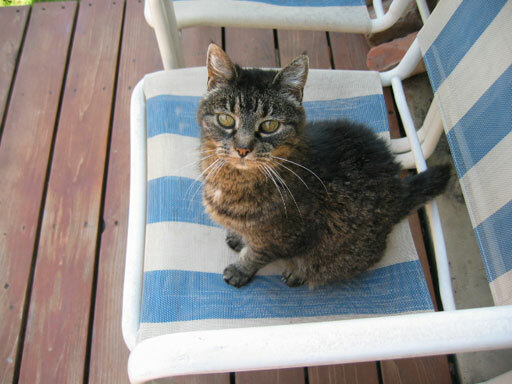 Tigress would have been 20 years old on Memorial Day. 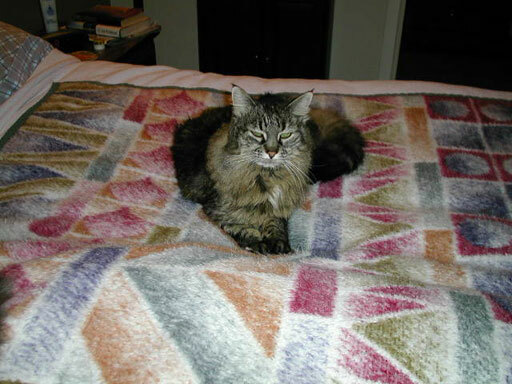 Not even two weeks previous, we had to put down our 17-year-old cat, Princess Maggie. Losing two feline companions in less than two weeks is hard. Both were somewhat unexpected, as both age and physical problems caused their health to decline quickly. Up until last July, we had four cats. 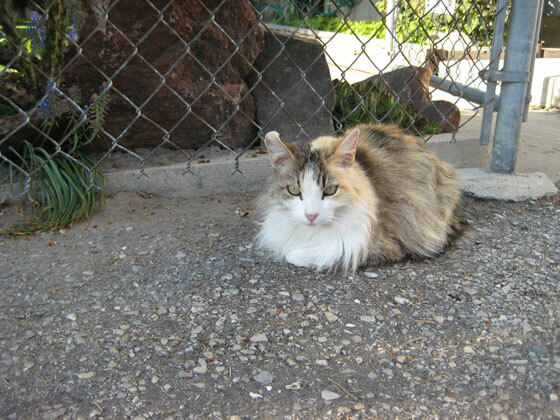 Our first to pass away was Mamma Kitty, who was 20 years old. Losing three cats in eight months has taken a toll on me. While I’ve not known them their entire lives, I’ve spent almost eight years with them and getting very attached. I’ve always been a cat person and when my wife and I first met, that was one of her criterias for a partner. 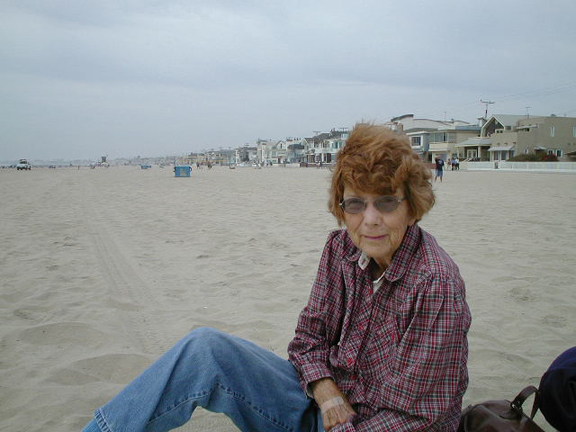 But knowing someone your entire life and losing them is hard, as my wife has experienced with the cats and as I did when my mom passed away in April 2006, losing her battle with melanoma cancer at the age of 83. This past Monday was three years since she died and while time has helped to ease the pain of not having her around, I still have vivid memories of her and still get emotional when presented with thoughts and wishing I could call her again to share what’s going on in my life. And for me, there lies one of the main reasons I don’t deal with loss. I miss being with those I care for and love. I miss snuggling with the cats or driving to California and hearing my mom tell her experiences. Call it selfish, but once those people and animals are gone, those times are gone, too. I’ll get past this dark period of loss, and once I do, I know at least I’ll have the memories of pets I’ve grown close to. I leave you one final photo of our remaining cat: Rocko. May he live for a good while longer. This fragile and caring heart can’t take another loss anytime soon. Sorry to hear about that. I’m a life long pet lover and know how hard it is to lose them as they’re really part of the family aren’t they? I’m dreading the next couple of years as my oldest dog is now 11 and starting to show her age. I’m no good at dealing with loss either. I’m really sorry for your losses. Not to take anything away from it at all (honestly), but at least all those you lost had really long, fulfilling lives. Two 20-year-old cats? Wow! I’m so sorry you’re suffering, Marty. Of course I don’t know your own experiences, but I do deeply know and understand that kind of pain – grief, heartbreak, sorrow, feeling bleak and sometimes a dark numb sensation while at work or in public. Nothing can really have you smiling or distracted from it completely right now. No one is ‘good’ at this, no one just brushes off painful loss, it is universal, this terrible experience. Even the less sensitive, the less expressive, and even those misguided souls apt to carry on like a soldier as though nothing has happened, feel it and deal with it somehow. But your life and that of your family is special, and your kitties were loved by you, so I know this experience is uniquely difficult and painful for you. Those of us who know you and who’ve experienced and understand painful loss have you in our hearts today, and wish for peace and joy to begin making their way back into your life in good time. I’m not a pet guy. I’m allergic to cats. Marty, I am so sorry to hear about your cats and mom. It’s not selfish to miss those good times. I still get upset when I think about my uncle who passed away. It’s just so hard to go from someone being there, to not being there. Oh, man! That’s awful. I’m so sorry for your losses. We lost one of our cats in January, so we were down to one as well. But I found a cute pair of kittens that needed adopting at the shelter and Gia found a breeder that she likes who is bringing us another kitten in May. So we will be up to four. That really means nothing for the sadness you are feeling though. I wish you the best. kevin – 11 for a dog is getting up there. And they are family, aren’t they. kapgar – yes, 20 year cats is pretty rare. Very grateful they all had long lives. breakaway9 – Yes, I remember how close your losses were with both dogs. catherine – Thank you for your sincere words. Very thoughtful and appreciative at this time. sybil law – Rocko kitty is pretty cool. He’s a bit banged up (missing a tooth, almost blind in one eye), but he’s soft and cuddles nice, on his terms, of course. dave2 – They are very devoted to their people. Tigress followed me around the house all the time, wanting always to be near me. kilax – You are exactly right. You are with them, then one day, they are not there anymore. Hard to get used to. b.e. earl – Thank you, Earl. I remember reading about losing your cat. Very hard times. But good to hear about the kittens. They are way cool. This is why Marley & Me made me cry. I mean, have allergies! I DIDN’T CRY! whall – Hmmm. I may want to stay away from that movie for a bit, until my allergies are gone. I am so sorry for all your losses. I think any kind of loss, human or pet, counts and is just as difficult. tori – Thank you, Tori. And you are right, any loss is difficult. I’m sorry for your losses, Marty. Losing three animals in such a short time would be devastating. On the brighter side, there are SO MANY animals in need of a good home, and I’ll bet you’ll accomodate a few when you’re ready.